The leading ambassador of the submission only movement, Submission Series Promotions is gearing up for its next grappling installment “Choke by the Ocean”. As with previous successful shows, the group is continuing it’s momentum. The upcoming July 29 event is composed of a star-studded line-up featuring grappling talents from across the globe, all competing on one fight stage. There has been a circulating buzz surrounding the main event at “Choke by the Ocean”. The main event attraction features UFC veteran Diego Sanchez. His opponent, with his own share of accolades is a highly respected Brazilian Jiu-jitsu fighter hailing from New York; Mike Wacker. 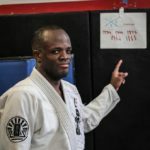 A 19-year veteran of Brazilian Jiu-jitsu, Wacker is a second degree black belt under Rob Kahn and owner of Black Hole Jiu-jitsu, based in Wappinger Falls, NY and New Palitz, NY. Mike Wacker is no stranger to competing in high profile matches. Labeled the underdog, the doubt of naysayers and taking on challenges is nothing new to Wacker. 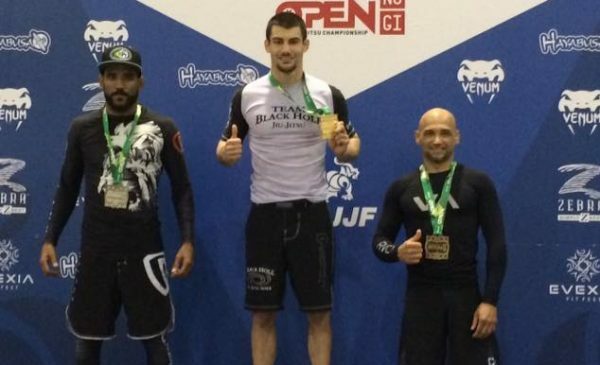 Confidence has played a major role in his success, capturing multiple Grapple Quest titles, IBJJF titles, and becoming the winner of countless grappling super fights against elite grappling and MMA talent. The chip on Wacker’s shoulder proved to be beneficial throughout the years in his successful competitor ventures. However, recovering from injuries and serving role as the head instructor of Black Hole Jiu-jitsu, putted Wacker’s competition aspirations to a brief halt. His dedication as an instructor has been showcased through his student’s success. 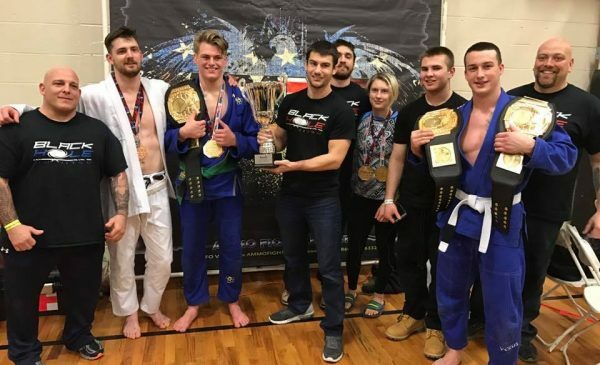 Along the Atlantic Coast line, in the United States Wacker’s Black Hole Jiu-jitsu pupils have dominated the competition scene, capturing many local and international titles. Yet, sitting on the edge coaching and watching his student’s success, it reignited a fuel within Wacker to compete once again. His itch for getting back onto the competition scene couldn’t have come at a better time. 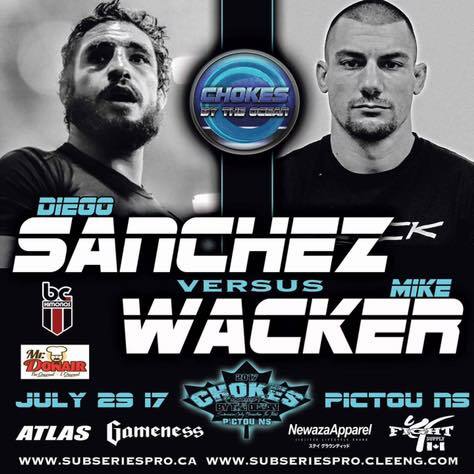 Opportunity only comes by seldom , as Wacker’s return to action finds him as the headline fight at Sub Series Pro “Choke by the Ocean” in a submission only grappling match against Diego “The Nightmare” Sanchez. Regarded as one of the most exciting fighters in UFC history, Sanchez is no stranger to the grappling world, as he too has had his share of grappling success in the early 2000’s and is also an ADCC veteran. The elite talent of Sanchez, along with the change of dynamics leading up to the fight, the decks seems to once again been stacked against Wacker. However, unfazed by these minor obstructions Wacker is looking forward to the upcoming challenge. His months of preparation training with various Brazilian Jiu-jitsu, Wrestling, Sambo, and MMA talents at Black Hole Jiu-jitsu couldn’t be going any better. From early morning training sessions to nightly grinds, the laser eye focus of Wacker is clear, as he looks to impose his calculating aggressive style to come out victorious over the UFC veteran. Things never come easy in life and one must be determined to work hard to turn their dreams into reality. Will the fruits of Mike Wacker’s hard work come to fruition emerging victorious over Diego Sanchez? Next What Happened to the Siberian Express? Was Ivan Drago murdered after loss to Rocky?